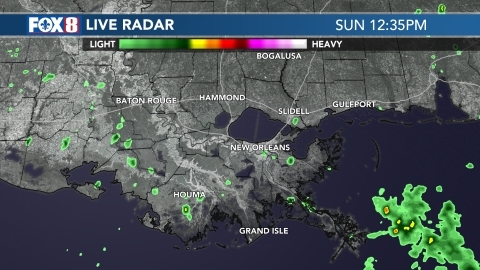 NEW ORLEANS (WVUE) -Temperatures will drop throughout the day as cold air continues to settle across the area. Plan for a fairly miserable forecast with windy, cloudy, and wet conditions expected. Afternoon temperatures will be in the 40s. Cloudy conditions will make it difficult for areas to drop to the freezing mark tonight. Rain will push east by Wednesday afternoon, and as the clouds also clear, a freeze will be possible north of the Lake for Thursday and Friday mornings. Highs will return to the 50s for late week and 60s over the weekend with sunny and dry skies. Shelby is a proud Bulldog as she graduated from Fontainebleau High School, then attended Mississippi State University to earn her degree in Professional Meteorology.